School Board Member Dr. Dorothy Bendross-Mindingall (D-2) was proud to celebrate the ribbon cutting ceremony of the Dr. Marvin Dunn Academy for Community Education in El Portal. We honor Dr. Dunn for his commitment to educating our children and preserving our rich African-American history for generations to come. Go Jaguars! School Board Member Dr. Dorothy Bendross-Mindingall (D-2) meets with Principal Leon Maycock, Football Head Coach Luther Campbell, Associate Supt. Michael Lewis, Facilities Chief Jaime Torrens, and maintenance officials to discuss the athletic fieldhouse renovations at Miami Edison Senior High. Our meeting plans will ensure our Red Raiders, student athletes, and coaches have a safe and operational facility to use and train in. School Board Member Dr. Dorothy Bendross-Mindingall (D-2) recognizes the 2017 FHSAA State Football Champions – Miami Northwestern Senior High School, at the School Board Meeting. We salute our student athletes for their excellence on and off the field. Thanks to Principal Wallace Aristide, administrators, Coaches, teachers, staff, parents, and Bulls alumni for supporting our deserving students. 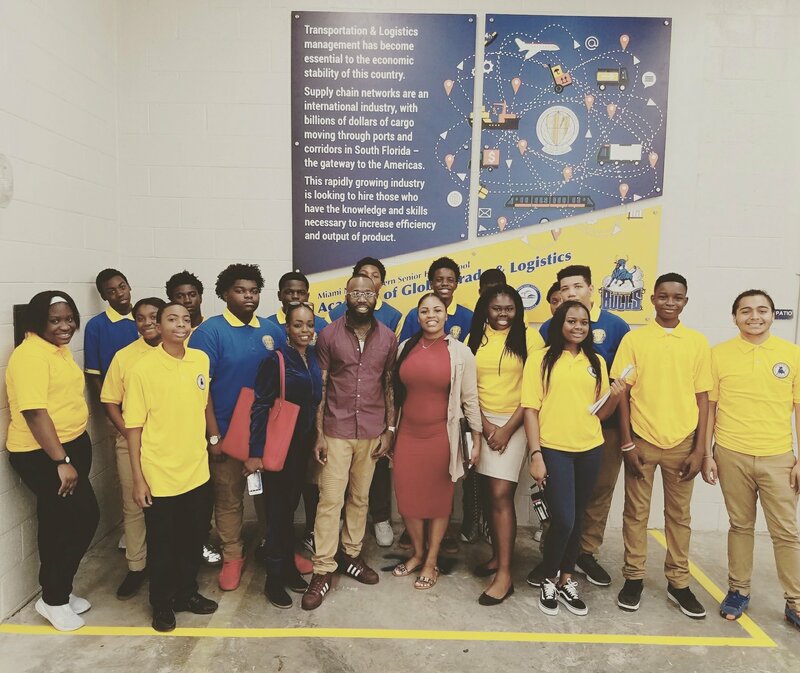 District 2 School News – Congratulations to our Bulls at the Ribbon Cutting Ceremony of the King Carter Trade and Logistics Lab housed at Miami Northwestern High School. The new approval will provide our students with the skills needed to apply for well paying jobs right here in Miami-Dade County. Great job to Principal Wallace Aristide, administrators, professors, staff, students, fellow Board Members, Supt. Carvalho, District staff, and community leaders for commemorating this great occasion. Special thanks to Mr. Antonio and Monica Carter, Ms. Tawanna Akins, and family for keeping the legacy of lol King Carter alive! For more information on how to get involved as a sponsor or participate in our resource fair, please call our District 2 Office at (305) 995-2311.